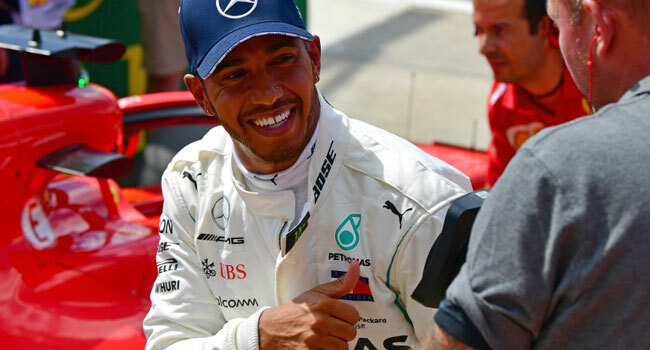 Lewis Hamilton roared to a record-breaking sixth British Grand Prix pole on Saturday and then cheered on England’s World Cup quarter-final win in Russia. 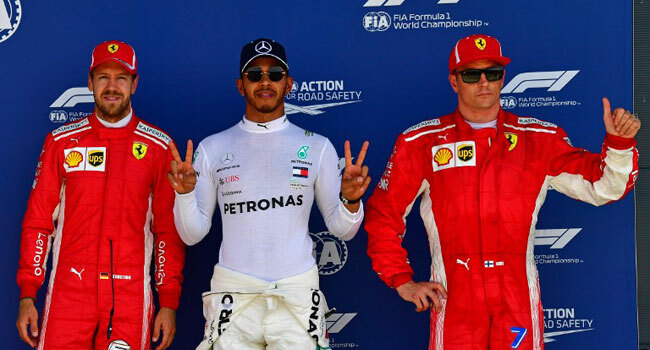 In a keenly-fought qualifying shootout in sweltering conditions, the Englishman, in a Mercedes, secured pole by outpacing Sebastian Vettel of Ferrari by just 0.044 seconds. Soon afterwards, he pulled on an England football shirt and celebrated with compatriots in his Mercedes team offices as England reached the World Cup semi-finals with a 2-0 win over Sweden in Samara. The world champion, who trails Vettel by one point in the drivers championship, paid tribute to the crowd at Silverstone. “I couldn’t have done it without you guys,” said Hamilton, shaking with emotion as he spoke just seconds after climbing from his car. “These guys are the best. Man, I gave it everything I could and it was so close with these Ferraris. His performance and his reaction prompted memories of fellow-Briton Nigel Mansell’s claim that ‘people power’ had carried him to victory at Silverstone, notably after a dramatic triumph in 1987. Mercedes team chief Toto Wolff said he believed the crowd support for Hamilton made a difference. “The atmosphere this afternoon was incredible,” he said. “Every time Lewis passed, you could hear the crowd cheering above the noise of the cars and that support probably made the difference. Mansell won the British Grand Prix four times, but his record of five wins is shared by Scot Jim Clark (1962-65 and 1967), Frenchman Alain Prost (1983, 1985, 1989, 1990 and 1993) and Hamilton (2008 and 2014-17). Another Hamilton win on Sunday would give him the outright record of six wins including five in a row. “For me, this feels like one of the best laps that I have been able to produce,” he told reporters. “It felt like the most pressurised lap I have ever had. I was shaking through the emotion and the adrenalin rush, which was way above the limit of what I had experienced. The defending four-time world champion enlarged his record total of career poles to 76 with a dazzling record lap under pressure in the closing seconds. 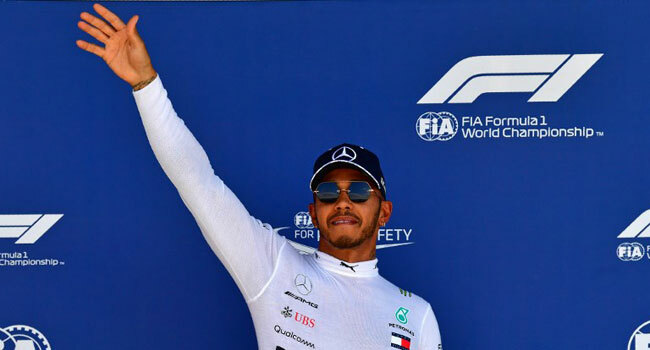 He and Vettel, who was struggling with a sore neck, had traded record fastest laps until he clocked his final and best lap in his Mercedes in one minute and 25.892 seconds to outpace Vettel of Ferrari by 0.044 seconds. Vettel’s team-mate Kimi Raikkonen was third and Valtteri Bottas fourth, in the second Mercedes, ahead of Max Verstappen and his Red Bull team-mate Daniel Ricciardo. It was Mercedes’ sixth consecutive pole position at Silverstone, but team non-executive chairman Niki Lauda warned that Ferrari remained a threat. Behind the top six, Kevin Magnussen took seventh ahead of his Haas team-mate Romain Grosjean with the ever-improving Charles Leclerc taking ninth for Sauber and Esteban Ocon 10 th for Force India.